Guest post by TheWanderlustTraveler. TheWanderlustTraveler loves traveling and photography. She enjoys finding out about different cultures around the world. With the white sand and school of fishes welcoming you, Maldives has significantly been on most couples’ and families’ tourist destination list. An archipelago of 1,192 coral islands, Maldives provides the perfect destination with each island housing its own reef, serving as a natural aquarium for scuba diving and snorkeling enthusiasts. I’ve personally always wondered what there was to do in the Maldives. I’ve heard a lot of people saying it’s beautiful to the eyes but painful to the wallet. 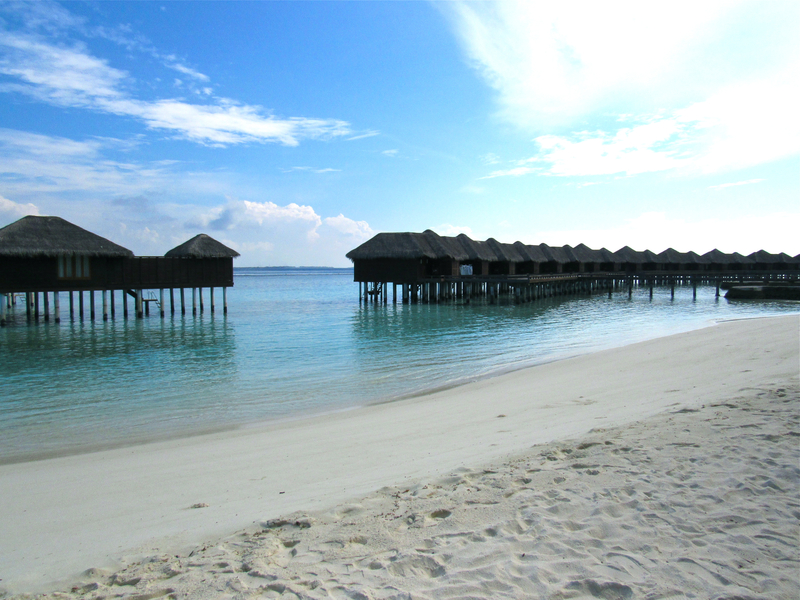 When the chance for a 4D3N trip to Maldives appeared, I was more than happy to see for myself what they had to offer. As with any trip overseas, there are a few essentials to pack. One of my travel essentials would have to be a good, sturdy camera. Living in the moment on your trips are important but having pictures to reminisce (ok…and to show-off to your friends) are just as important to me too. For this trip, I was happy to be able to collaborate with Canon Singapore to try out their newly released PowerShot SX530 HS on my trip. Truth be told, when I first received the camera, I thought it was pretty bulky for a compact camera. But surprisingly, the camera sat comfortably in my hands thanks to its ergonomic design and it did not weight a ton (no one really likes to carry around an extremely heavy camera around especially when traveling on foot). 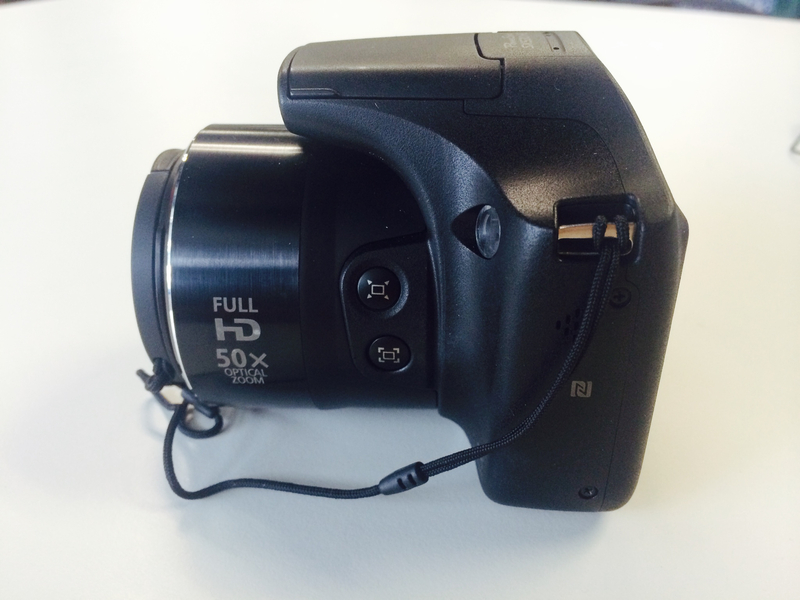 It also didn’t take me that long to figure out how to use it – perhaps because I’m familiar to cameras but for the camera newbie, this camera shouldn’t be too difficult after a bit of playing around. In fact, most of the functions are found on the dial. 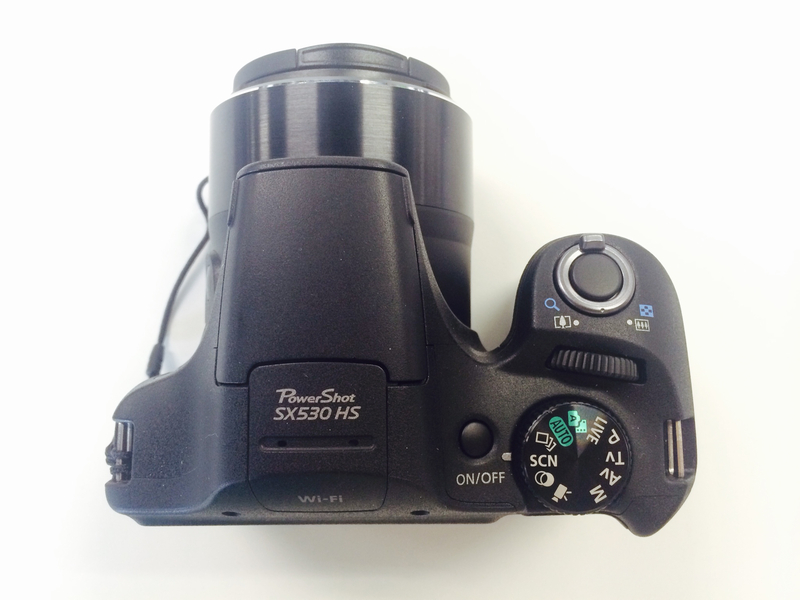 The main selling feature of the PowerShot SX530 HS is that it is built for exceptionally long-range photography. 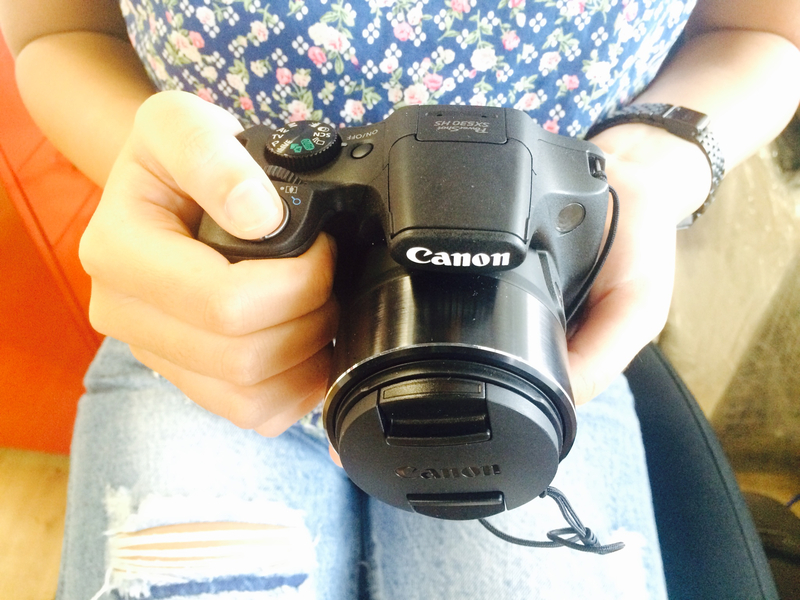 Shooting at 16 megapixels, this camera has an amazing 50x Optical Zoom. Zooms are great but we all know some of the problems faced with zooms like how sometimes you zoom in on a moving object (say an animal) and you can’t seem to find it in your frame cause you’re too zoomed in – zooming out and in again takes time and it could make you miss a great picture-worthy moment! The person who thought out the zoom function seems to have experienced that before because this camera now comes with Advance Zoom Framing & Assist Auto Buttons. This allows you to quickly zoom out of the image, find your subject, focus and quickly revert back to the original zoom once you release the button. Pretty smart feature I’d say. Before I start on the travel piece, I would like to point out 1 more feature that was a big relief to hear about. The PowerShot SX530 HS has a built-in Wi-Fi feature and especially with our current social need to update on the go, I was very happy to hear of this feature because it made sharing so convenient and immediate. 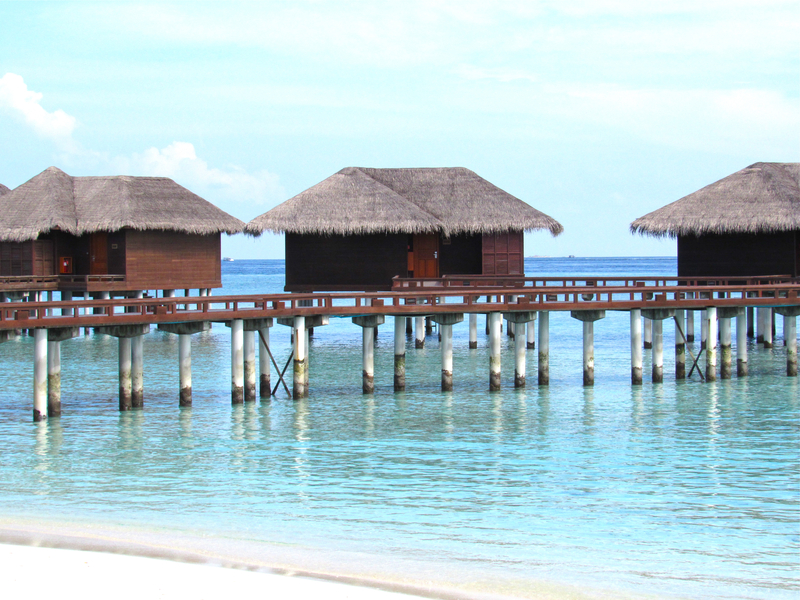 Now that we’re a bit familiar with what this camera can do, allow me to bring you through my Maldives itinerary. If the pictures do a good job of making you want to book the next flight out to Maldives, I guess I will thank the PowerShot SX530 HS for that! Stay tuned to below on contest details where you could win your very own PowerShot camera for your next travel! We took a 4-hour direct flight from Singapore via Tigerair. Our return-ticket was about SGD $500 in total, which I feel is pretty affordable for such a sought-after destination. Do note that the carrier has only one flight per day though, of which will normally be in the morning. If I’m not wrong, Singapore Airlines also offers a direct flight to Maldives but you are looking at about SGD $1000. For starters, let me clarify that Maldives isn’t really like Phuket, Boracay etc. On those beach holidays, you have everything on one island. 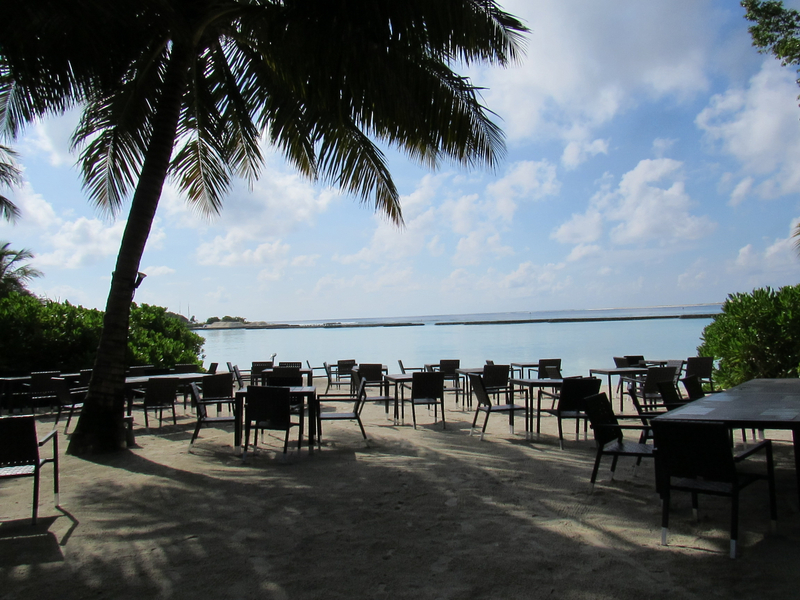 The capital of Maldives is called Malé; it is the most populated city in Maldives but we did not stay here. 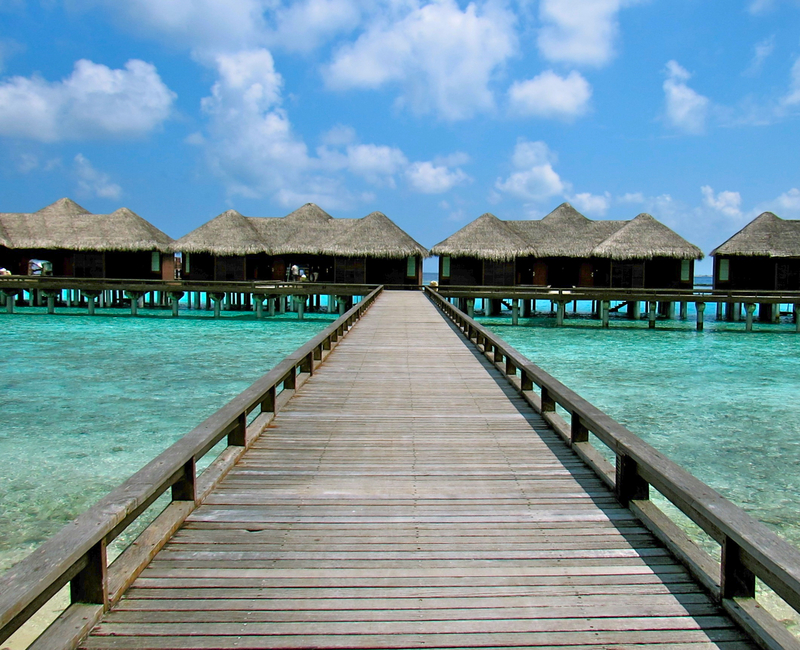 As mentioned above, Maldives is made up of a thousand coral islands, which are dispersed in the Indian Ocean. Close to a hundred of these islands are taken over by resorts entirely. 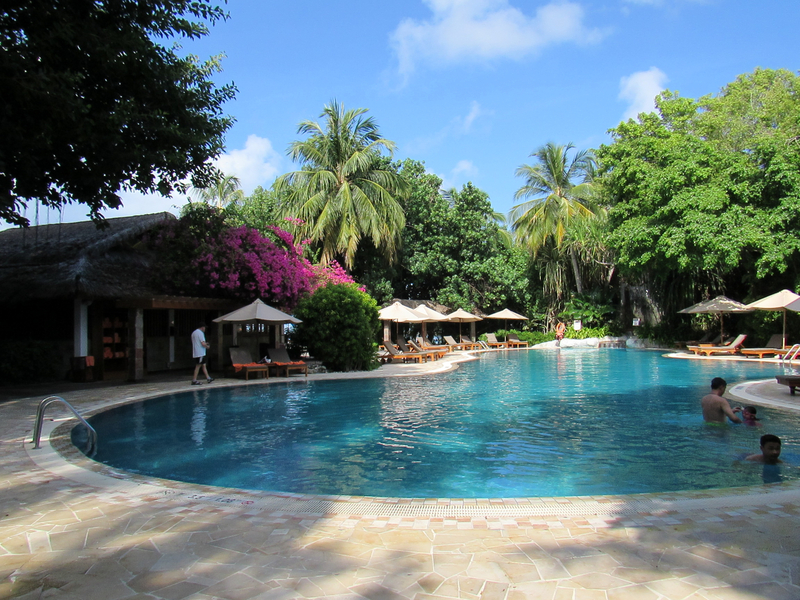 We stayed at the Sheraton Maldives Full Moon Resort & Spa for this trip. 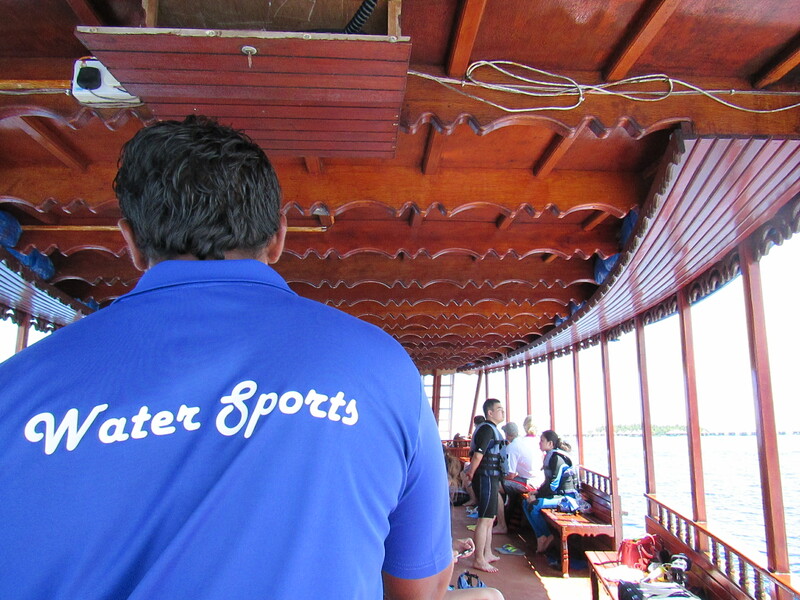 We arranged a round-trip airport-transfer with the hotel, which was a 15-20-minute boat ride from the airport. 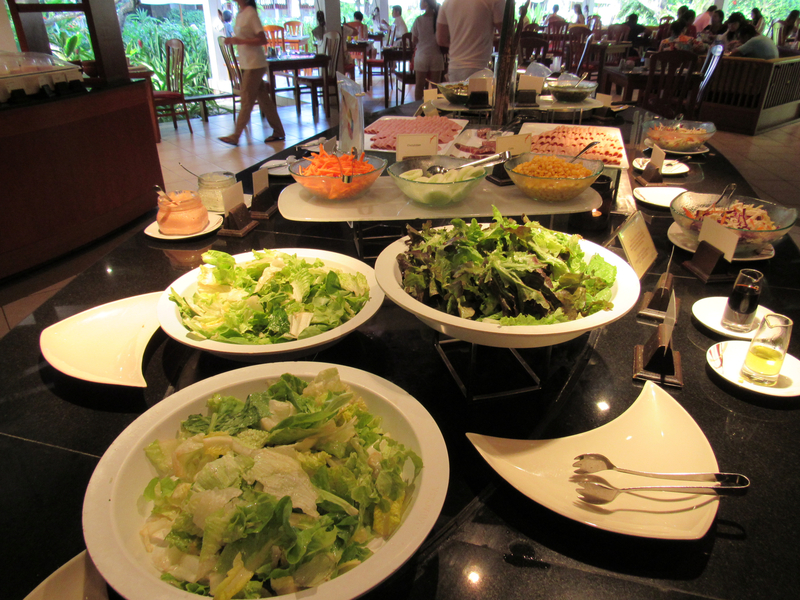 This was about USD 136 per pax. Our island was not too far from Malé but taking a boat ride there would incur extra cost so we decided to stay on the island for the whole course of the trip. What I learnt from this trip is choosing your accommodation is pretty important. If you don’t want to burn a hole in your wallet traveling from island to island for different activities, choose a resort/local homestay which has activities and amenities that interest you because most likely, you will remain on that island for your whole trip like we did. It was rather dark in the lobby but thankfully the low-light capabilities of the PowerShot SX530 HS helped me capture this without too much ‘noise’. 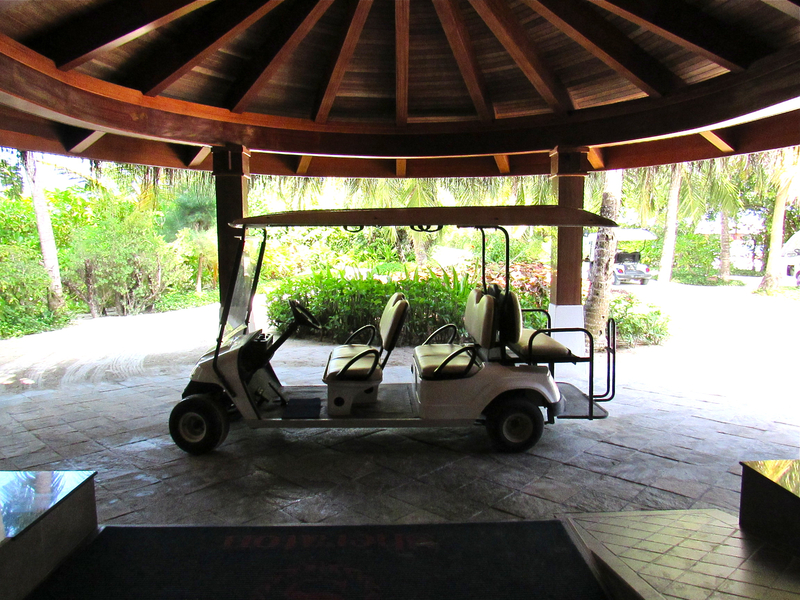 Upon checking-in, we received a short tour on the way to our room in this buggy. To sum it up, the resort had a central watersports centre (where all water activities were arranged), a central food area where all 5 eateries resided, a swimming pool and a spa and sports centre (which was at the far end and we did not head to). THE POOL – If you’re hungry by the pool, good news is there is Anchorage Restaurant and Bar beside it that serves really good pizza and milkshakes! Thanking the great quality of the PowerShot SX530 HS in capturing the vibrant blues. Kind of makes me miss lounging in the pool very much. 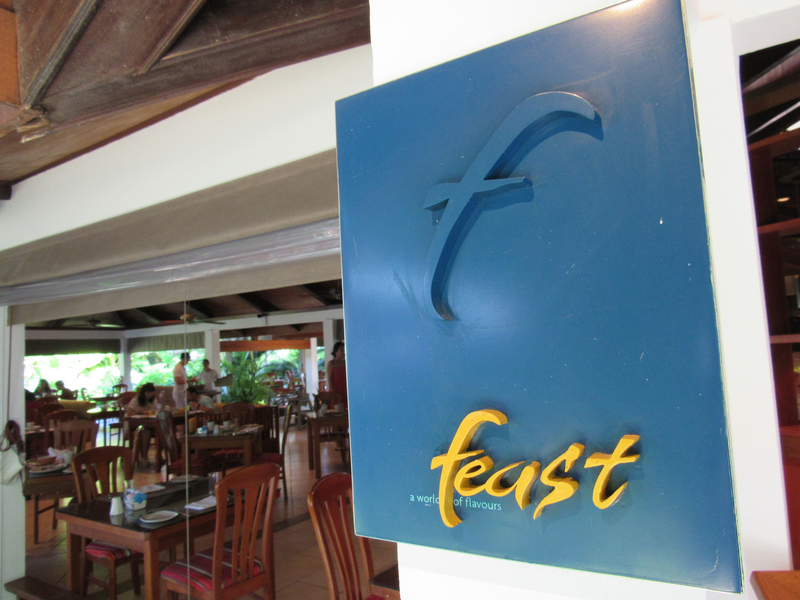 FEAST – Where we had our complimentary breakfast every morning. Using the Macro Mode on this. Sorry to those who are hungry right now! 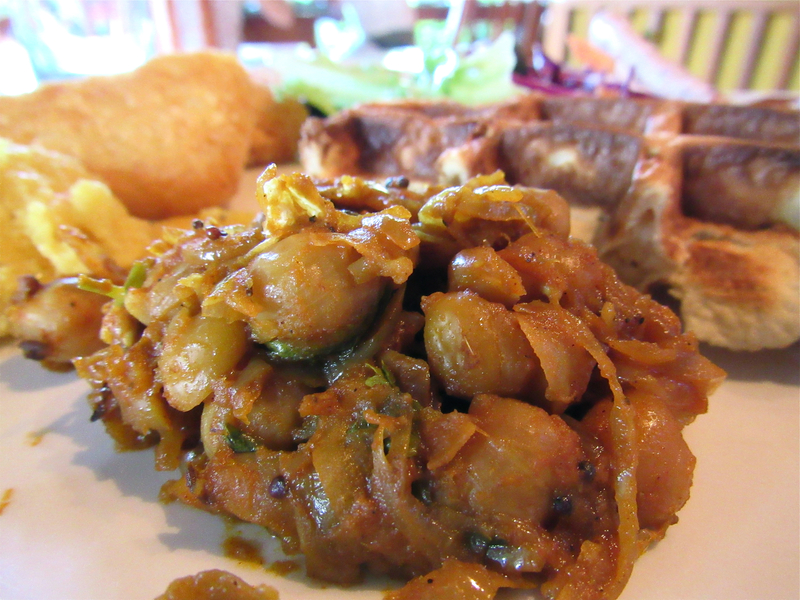 There were 4 other eateries in the resort, most of which were open-air and overlooking the vast blue sea. No doubt the heat was a little unbearable at times but the calm crashing of waves by the shore was something priceless. 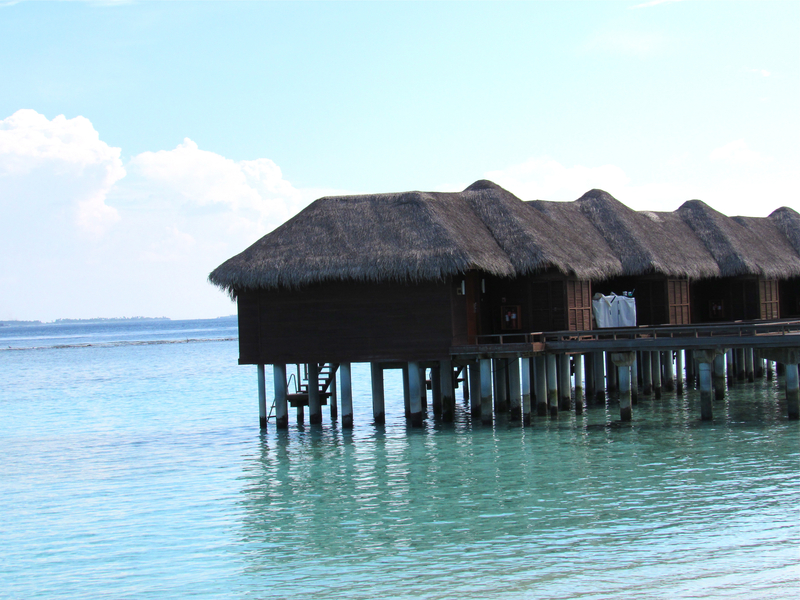 WATER BUNGALOWS – Which we kind of wished we stayed in. (We stayed in the deluxe room instead). This was the view from right outside our room. Using the PowerShot SX530 HS’s zoom to spy on people. Ok I’m kidding but the zoom and image stabilizer on this camera was pretty good! Here’s another example of its zoom capabilities. The beach bungalows were at least 30-50 meters away. 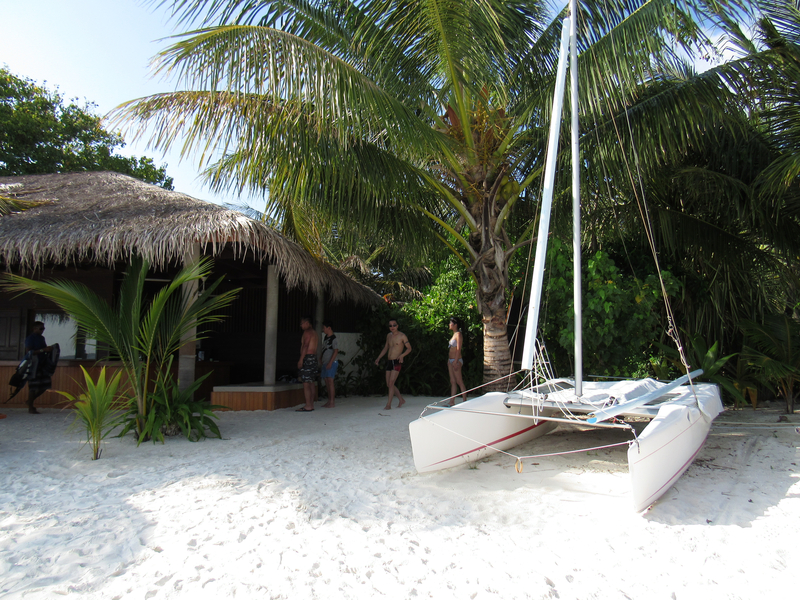 As mentioned above, chances are that you will be doing most of the activities provided by the resort. Other than relaxing by the beach, talking slow scenic walks around the resort, watching the sunset or going to the spa, I would recommend setting aside a sizeable budget to water activities. 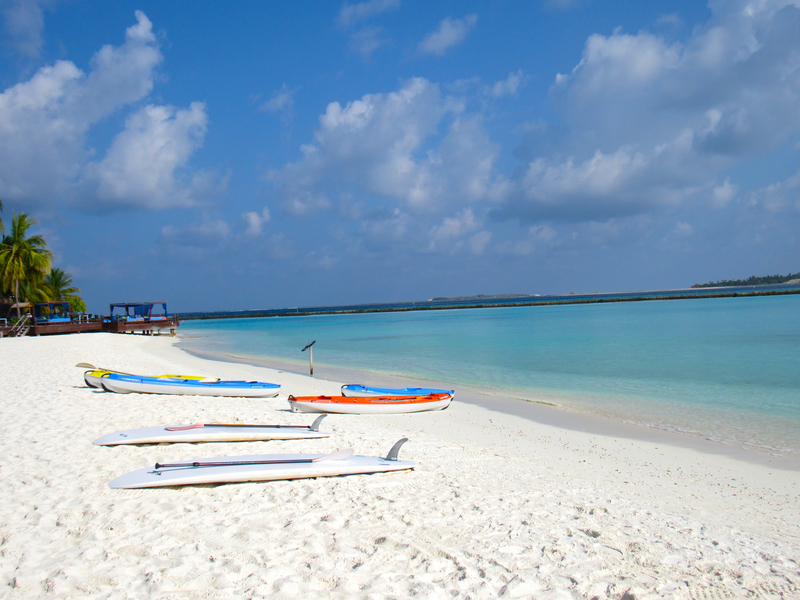 There are some complimentary water activities provided by the resort; Stand-Up Paddling, Canoeing (single and double) and Daily Rental of Snorkeling Equipment. I went ahead to try Stand-Up Paddling because I had never tried it before. The view out at sea was gorgeous and cascading over the clear baby blue waters was so calming. Unfortunately, I didn’t have with me an underwater casing for the camera so I had to leave the camera on land. There is a list of other activities to do too. Most of these activities can only be done between 9am – 5pm. 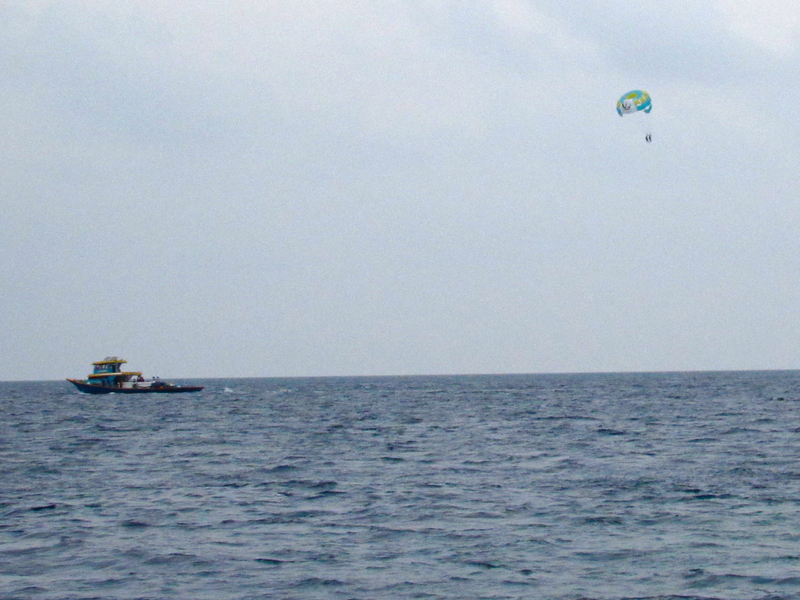 What some of us tried though was Reef Snorkeling and Parasailing. 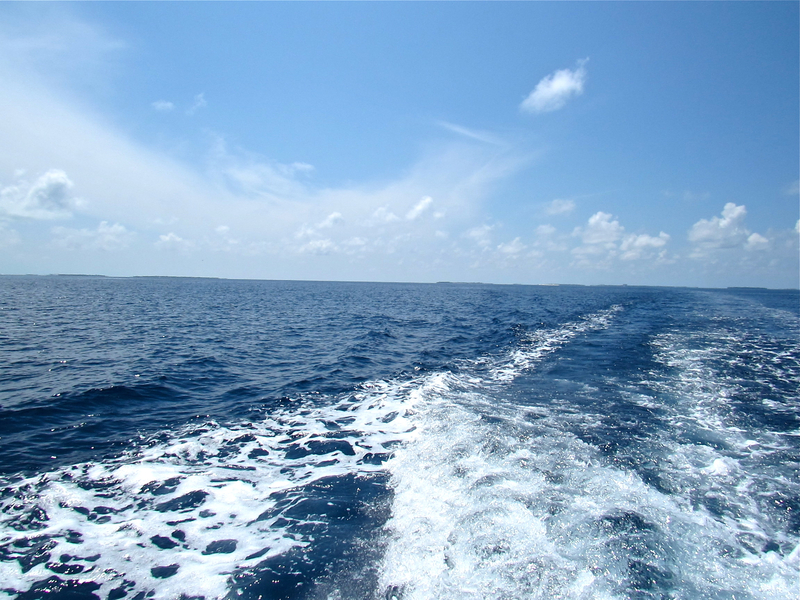 REEF SNORKELING – A 45-minute boat ride out to sea to a protected coral reef. USD 50 per person. Didn’t manage to bring my camera out to the waters with me but managed to capture some of these thanks to the 50x Zoom on the PowerShot SX530 HS. 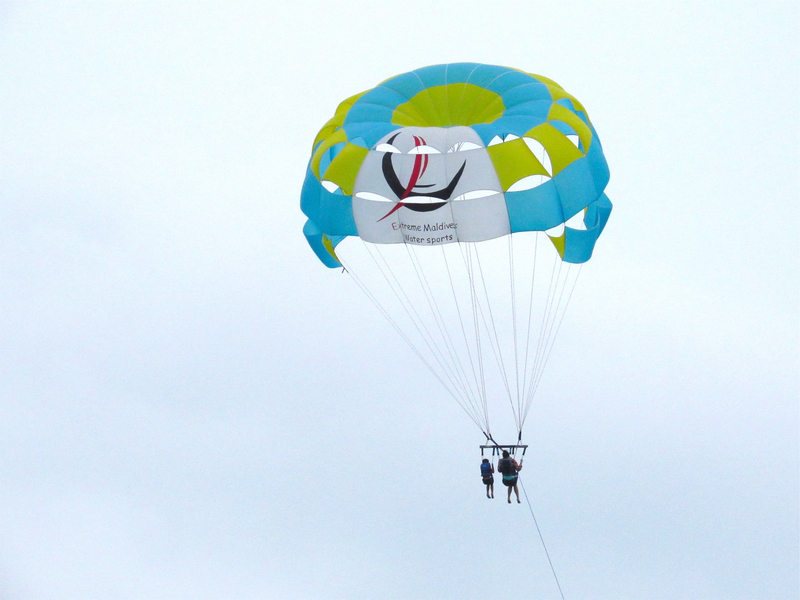 PARASAILING – USD 100 per person. This was before zooming in fully. Image was cropped a little hence the fuzziness. After zooming in fully right from the same place – The clarity on this camera on such a far zoom was pretty mind-blowing. For those staying in Singapore, you might want to take note that Maldives is 3 hours behind Singapore time. Mostly everything is charged in US Dollars and subject to 10% Service Charge and 12% GST (non-claimable) at your resort and so you will need to do your own calculations. 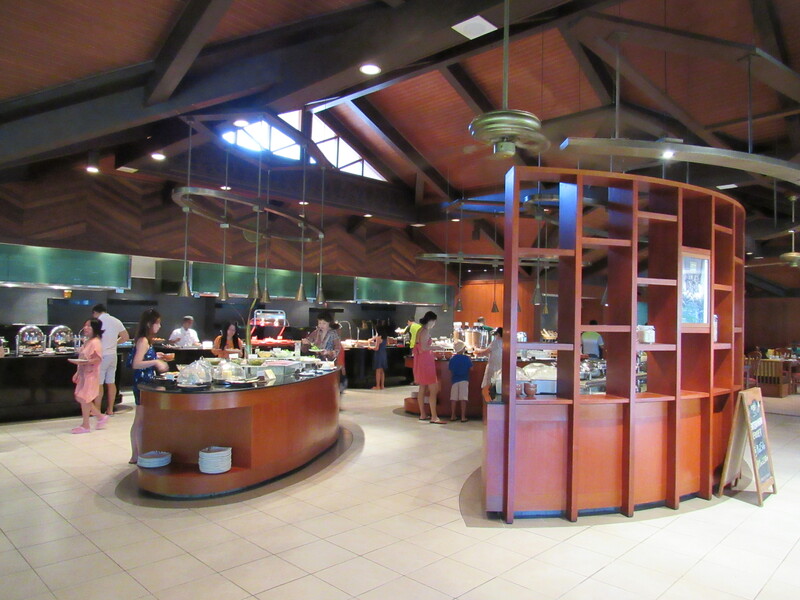 Everything you eat/do in the resort can be charged to your credit card so I recommend having a credit card on the trip for easy, cashless payment. 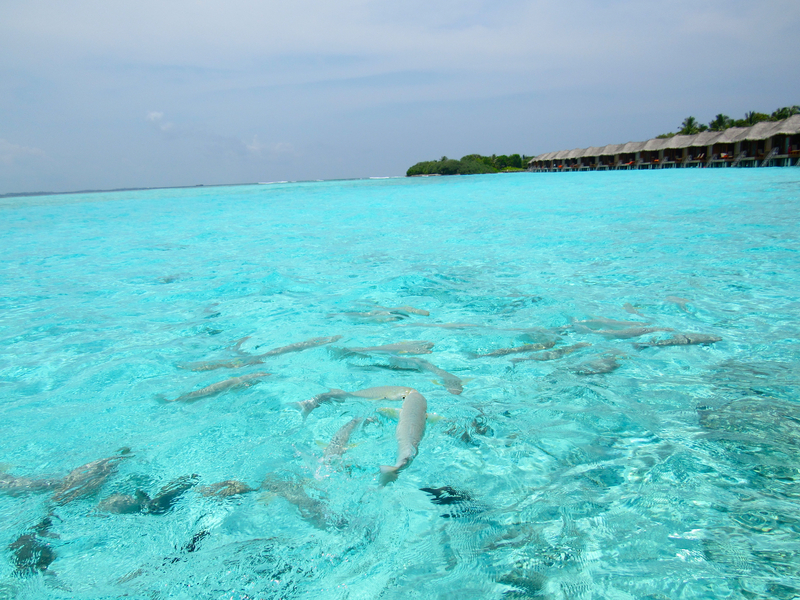 We took our leave on Day 4 and said goodbye to the clear waters of Maldives. 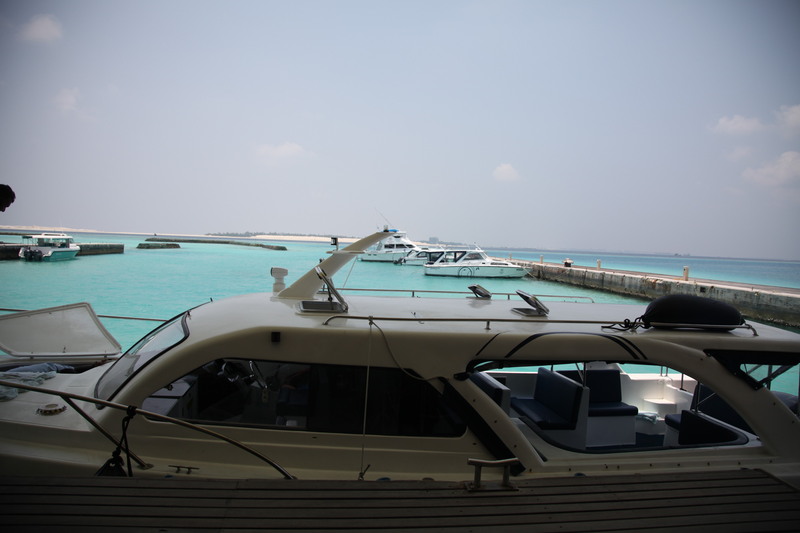 It was a nice relaxing trip but I know that next time, I’ll be sure to set aside more budgets for water activities cause the clear waters and coral reefs are what makes Maldives so beautiful. I also recommend investing in an underwater camera casing for your cameras. Felt a little upset I didn’t manage to find one for mine. 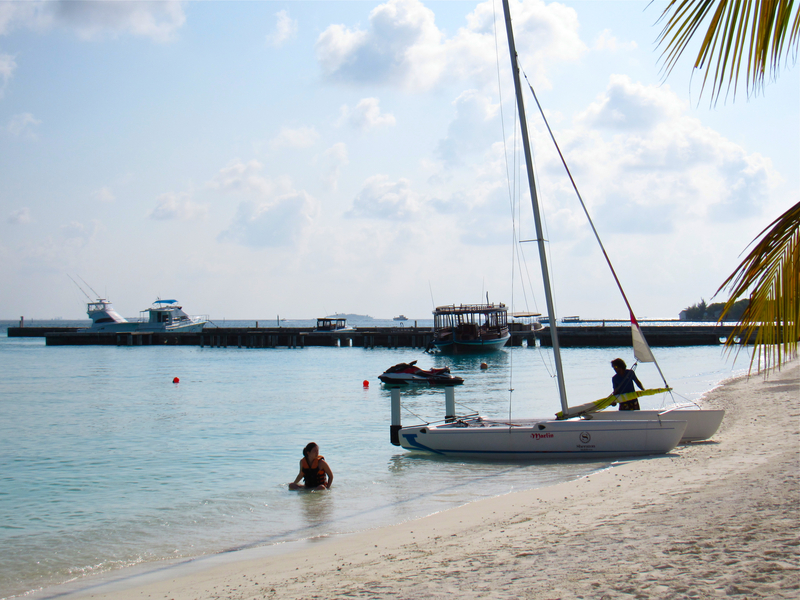 The Maldives is a beautiful place and worth going to if you love the sun and sea. I hope this post helped you understand what to expect when you’re there. To view the other picturesque experiences of those traveling with PowerShot, you can check out www.travelwithpowershot.com.sg. Again, thank you to Canon Singapore for allowing me to capture such pictures at this sought-after destination. Although I think the camera would be been great for a different destination that I could better use the zoom for (e.g. some where with a farm/animals in the distance etc. ), it was still a great travel-buddy for this trip. Something exciting for you to know is there is an ongoing contest for you to win yourself your very own PowerShot Camera for your travels! Make sure your profile is set to public so they can view your post! Contest ends of 15 May with results announced on 22 May. Good Luck! All the picture are very beautiful and good quality just because of Canon. Right dude! specially the sea images are awesome. My pocket can’t afford Canon but one day I should buy Canon PowerShot. Great photographs and a lovely trip. The comment you made about the location is critical. Many of the resorts require sea plane flights. The scuba diving is great but again you have to choose carefully as the sires are so far a part , even with Liveaboards you need to look carefully. The resort looks awesome, I was going to book at Soneva Fushi but will have to re-think after seeing your photos.The airport transfer sounds very convenient too. Great article and and images looking awesome and seems to me camera is perfect for capturing moment under harsh sun. And foods looks great too. From the photos I can say you enjoyed the trip to the most.